Anping county Boli wire mesh hardware Products. offer perforated metal with various patterns mainly standard perforated patterns and decorative patterns. PlastOk supply perforated sheet, usually ex stock. Materials are usually stainless steel SS 304 and 316, but we can also supply copper, brass and more exotic metals, subject to availability. Most can be made to order. Perforated sheet is usually made in panels 2 x 1 and 1.25 x 2.5 metres. 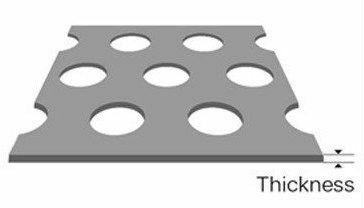 We can supply perforated sheets specially punched to a specific size, including margins, if needed, or guillotined from stock sheets. 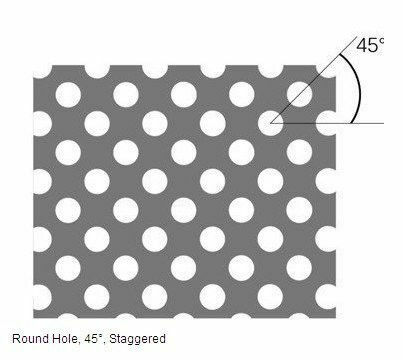 Holes can be circular ( standard ), square, or to artistic patterns, for architectural applications. If you are unfamiliar with perforated sheet, we can send a small sample of you to examine. We will advise on the best way of performing the tests, and of course, safely. Perforated sheet is a stiff and durable material, ideal for filter-plates, filter-baskets, screens and filter-elements, and as a support for woven wire meshes and filter cloths. 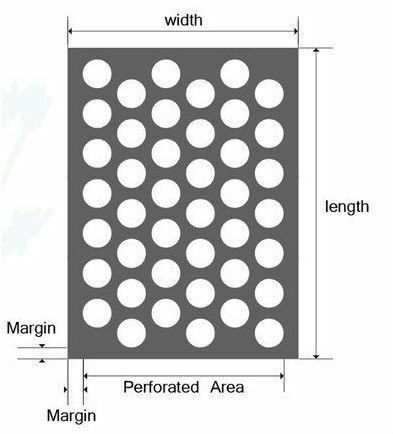 4.Application: Perforated material is widely use as agriculture equipment, audio,automotive & transport, architecture, design, electronics, noise control, pharmaceutical, filtration, etc. Thickness of the matel sheets do not change during the perforation. Margins are the blank (un-perforated) area along the edges of the sheet. 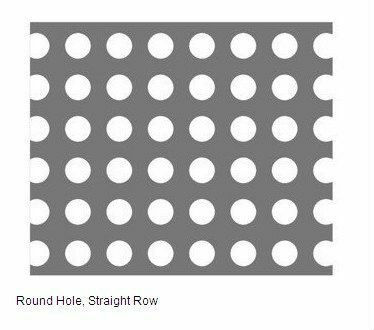 Round holes are normally arranged in 3 types. Other hole patterns and hole arrangements aslo can be made.